Two years back on this day I was with Ramadasa atop Hiregudda near Bellary. Hiregudda is one of the important Neolithic sites of India; though quarrying has damaged the site there's a lot that still remains for an archaeological eye - petroglyphs, Neolithic stone implements, prehistoric ash mounds, cairns and what not. Our presence there on Dec 22 2013 was a coincidence. We could not catch him early morning because he was off to mark position of the hill's shadow. For the last 2 decades or so, on this day Ramadasa goes to the plains on the western side of Hiregudda to mark the position of a pillar rock. He's been studying its shift every year. Like wise he tracks shadow positions on summer solstice days i.e. June 22, year's longest day. 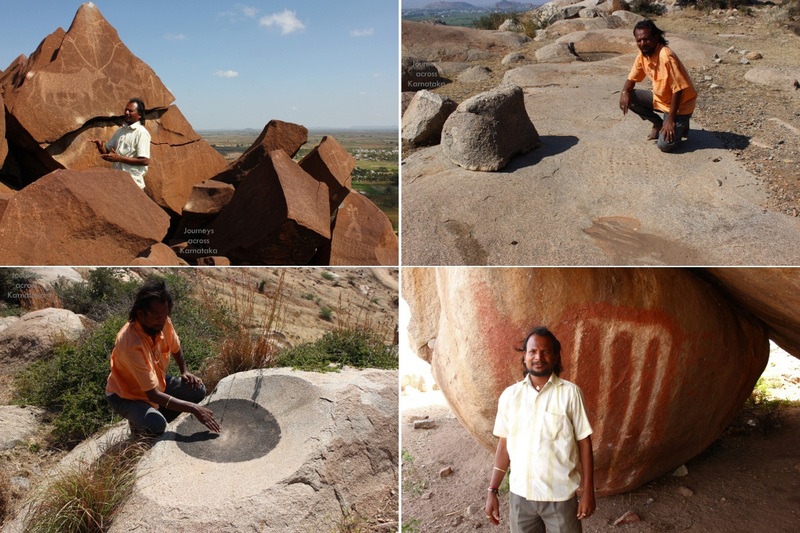 Here's our man, Ramadasa the man of archaeology and astronomy. Nice to know about Ramadasa and his study about prehistoric site.